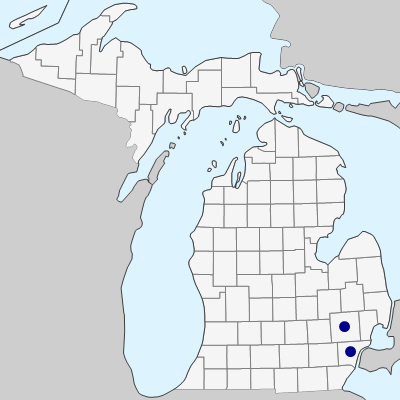 A species of dry fields, prairies, barrens, and savannas; apparently the only Michigan collections were made by O. 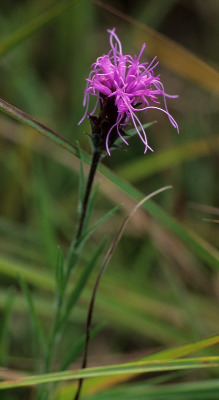 A. Farwell in 1904–1914 at Palmer Park in Wayne Co. and Rochester in Oakland Co. One specimen bears an old but undated identification label by B. L. Robinson. It is well known immediately to the south in Ohio. MICHIGAN FLORA ONLINE. A. A. Reznicek, E. G. Voss, & B. S. Walters. February 2011. University of Michigan. Web. April 21, 2019. https://michiganflora.net/species.aspx?id=402.